You’ve probably heard the saying, a rising tide lifts all boats. It means a strong or improving economy benefits everyone. And it should. The problem is, the “boats” that most people are in these days have leaks. It’s possible that you might not be aware of how big those leaks really are. But if that’s the case, it isn’t all your fault; the mainstream media still paints a rosy picture, even though reality is much different. One of the main features of the much-advertised “American Dream” was the attaining the status of middle class (defined as having an income between $50,000 – $100,000). Post World War II, a middle class income and savings were all that was needed to support the average family. 54% of middle-income households (defined as income ranging from $48,000 to $95,000) don’t have enough saved to maintain a decent retirement. That’s the same percentage as in 2010, when the stock run-up was in its early stages, according to a study by the Center for Retirement Research at Boston College. It’s fairly obvious (and tragic) that households in the “poor” category won’t be able to save much for retirement. They have to put food on the table, but encounter challenges even doing that. What’s alarming is that 5 out of every 10 middle income households can’t save enough to maintain a decent retirement either. If middle income families number less and less, and have less income, it’s no wonder they have a hard time saving for retirement. Especially when you consider today’s CPI inflation rate. More and more families have nothing saved. But retirement savings are only one-third of the “Big 3” picture. When baseball players are out on the field, they follow a set of rules. Change a rule or two, and it won’t really affect their performance. But if you told them they have to play football, many would not be able to make the adjustment without their performance suffering dramatically. In addition to deficient savings among the low and middle class, both pensions and Social Security seem to be heading for the sunset. Unless something is done to shore up Social Security, payouts could be cut by about 21% come 2034—which is closer than it sounds. How can someone play a different retirement “game” if they aren’t even prepared for it? The answer is they can’t. But why aren’t they prepared? The blame doesn’t rest entirely on retirement savers. In fact, the situation might be out of your control. The other two-thirds of the “Big 3” for traditional retirement are broken. Public and private pensions are in big trouble, and Social Security’s clock is ticking. According to Pew Research, as of 2016, only 4 states had 90% of the financial assets required to pay promised benefits. 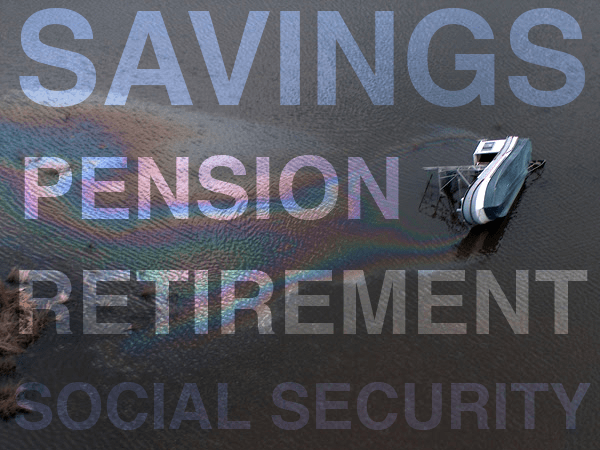 According to a recent LA Times article, Social Security payouts could be cut significantly over the next decade. If you don’t consider doing something now, then when these major changes come to fruition, you’ll be left footing the bill. If you have a public or private pension, you need to keep an eye on it. As for Social Security, it’s becoming less and less reliable as time goes on. You need to tip the rules of the retirement game in your favor by learning to “see” bubbles as they are forming. You also need to diversify, looking at all markets, and examining all commodities. Don’t only pay attention to mainstream media. Instead, develop trustworthy alternatives. Quit playing by “their” rules, and develop better ones that allow you to perform your best.